From: James Moore, antidepressant withdrawal sufferer, on behalf of the 30 other signatories to today’s letter. London, UK – A fellow of the Royal College of Psychiatry, and 30 other mental health experts, have today formally asked the College to ‘replace Professor David Baldwin as its representative on The Expert Reference Group of Public Health England’s Review of Prescribed Medicines, with an RCPsych member who is not compromised by conflicts of interest with the pharmaceutical industry’. The Public Health England review1 was set up to examine a growing problem with patients becoming dependent on psychiatric drugs including antidepressants. 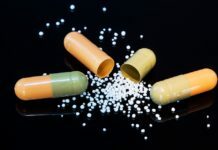 In the UK, four million people are long-term antidepressant users2, with many of those unable to come off their drugs without debilitating and protracted withdrawal symptoms. Signatories to the complaint include 10 people whose withdrawal experiences have lasted between one and ten years, plus 11 psychiatrists and 8 mental health professors. In the Public Health England (2018) document ‘PMR ERG members declarations of interest’, Prof­essor Baldwin reports having received ‘personal honoraria for lecture engagements organised by AstraZeneca, Bristol-Myers Squibb, Eli Lilly Ltd, Glaxo-SmithKline, Janssen, H. Lundbeck A/S, Pharmacia, Pierre Fabre, Pfizer Ltd, Servier, and Wyeth Ltd’. In addition, he reports attendance at advisory boards of five companies and research funding from twelve. The signatories are worried that he could be unduly influenced by the large number of pharmaceutical manufacturers he has received income from. This concern is exacerbated by Professor Baldwin’s having already publicly minimised the withdrawal effects of antidepressants (Times 24.2.18), which was described as ‘misleading’ the public in the House of Lords3and led to a formal complaint against him4. I am writing to you as President of the Royal College of Psychiatry (RCPsych), on behalf of myself (a Fellow of the RCPsych) and 30 other mental health experts, including 11 psychiatrists, 10 people whose antidepressant withdrawal effects have lasted more than a year, and 8 professors. We formally request that the RCPsych replace Professor David Baldwin as its representative on The Expert Reference Group of Public Health England’s Review of Prescribed Medicines, with an RCPsych member who is not compromised by conflicts of interest with the pharmaceutical industry. Reviews, like that of Public Health England, need to be completely independent of the influence of companies with vested financial interests, their employees, and academics they hire to conduct studies. In the Public Health England (2018) document ‘PMR ERG members declarations of interest’1, Professor Baldwin reports having received ‘personal honoraria for lecture engagements organised by AstraZeneca, Bristol-Myers Squibb, Eli Lilly Ltd, Glaxo-SmithKline, Janssen, H. Lundbeck A/S, Pharmacia, Pierre Fabre, Pfizer Ltd, Servier, and Wyeth Ltd’. In addition, he reports that he has attended advisory boards of five companies and received research funding from twelve companies. On the RCPsych website2, Professor Baldwin states (without identifying his wife’s relevant expertise/qualifications): ‘My wife has received a personal honorarium for participating in an advisory board organised by H. Lundbeck A/S’. Despite the increased awareness of the pernicious influence of the pharmaceutical industry in all spheres of mental health, the RCPsych does not appear troubled by the potential for misleading the medical community and the public and soiling the good name of the profession of psychiatry. It has deemed it acceptable to replace Professor Allan Young (who undertook ‘Paid lectures and advisory boards for all major pharmaceutical companies with drugs used in affective and related disorders’2) with someone equally enmeshed with the industry as the chair of its Psychopharmacology Committee. We feel the need to make public our opposition to someone so connected with the pharmaceutical industry being the RCPsych’s representative on a public body appointed with the task of working for the public good. It is particularly problematic that the RCPsych has chosen him as a representative on a government Review about dependence and withdrawal effects; someone whose bias on these issues was made evident in his public statement in the Times (24.2.2018) minimising the withdrawal effects of antidepressants. This statement has been described as ‘misleading’ in the House of Lords’, and, along with the RCPsych’s lack of adherence to recognised due process or independence in handling our complaint, led to our having to write to the Secretary of State about the unprofessional and unscientific conduct of the current leadership of the RCPsych, including that of Professor Baldwin. We believe that finding someone with no industry ties to head your Psychopharmacology Committee would be a valuable first step toward regaining public confidence and would be a sign that you are going to take seriously the issue of conflicts of interest with the drug industry; an issue that, as you know, has bedevilled the medical profession in recent decades. We are copying this document (and your response) to Public Health England, and relevant Ministers and MPs, and will be making it available to the public through the media and social media. How could anyone feel confidence with this “PERNICIOUS INFLUENCE”? Not patients, nor their loved ones who have to live with or watch the suffering caused by the multiple, maiming physical, psychological, social and financial injuries that followed the mass peddling of these grotesquely over-marketed drugs. 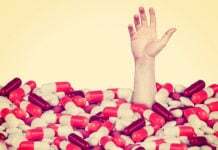 Psychotropic drugs prescribed, promoted and often enforced by some psychiatrists whose “diagnostic fallibility” might well merit investigation by Public Health England? Not those better informed General Practitioners who are becoming aware of the scale of “psychopharma-deception”. 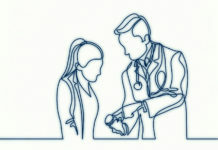 Primary Care physicians who are now beginning to listen to those patients for whom they have prescribed these drugs in good faith, and whose lives are now destroyed by acute, sub-acute, chronic and legacy toxicities. Terrible ADRs, hidden and denied by the blatant dishonesty of psycho-pharmacology, its manipulated clinical trials and utterly ruthless marketing. Not a gradually better-informed public who may have simply “googled” – “Pharmaceutical Fraud” and noted companies, referred to in many Conflicts of Interest Lists, that have made vast $ settlements for both civil and criminal charges relating to their psychotropic drugs. “Doctors should be kept to their obligation to produce the evidence on which their opinion is based, and this is a matter both for doctors to not say: – Well its what we all think, or what most people believe, but to say these are the reasons why I have given this opinion”. The leaders of the R.C. Psych. have not spoken WISELY, and have not provided the evidence that lead them to make their claims trivialising antidepressant dependence and the allegedly short and mild antidepressant withdrawal effects. They might have gained some token of credibility had they acknowledged the grave risk of withdrawal-induced AKATHISIA and its sequelae. So, if at the Royal College of Psychiatry they still believe in their motto: “LET WISDOM PREVAIL” – then they must identify, and appoint an expert whose opinion is demonstrably free from the manipulations of this most ruthless pharmaceutical marketing machine. What is important in college? The room in which it is located? No. There are excellent advanced schools that move from one room to another and still remain the same school that was in another room. Also, schools are formed from scratch, which means that the primary was something else, until it was like a school. – Teacher? But teachers change. Someone is leaving, someone is coming. And often, the more teachers come, mix, exchange between schools, the level of professionalism only increases. And in general, quoting Carl Rogers, who was famous for being the first who formulated and offered the world a personality-oriented learning model: “Education is too important to be given solely to teachers”. – Method? But the technique is ultimately – a set of other techniques that someone rethought, re-connected and applied in a particular school. – Content? But in our rapid age of changes, the content of the curriculum should undergo a constant up-grade and be more student-oriented (of course, if we are talking about modern methods).